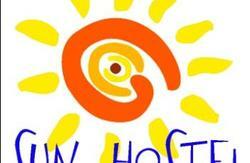 Welcome to New Hostel Belgrade, the best location for your trip in Belgrade. You can be certain that we will meet and do our best to exceed your expectations by offering convenience at affordable prices within centrally located New Hostel Belgrade. 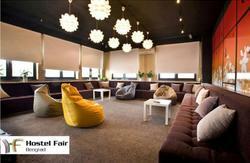 Brand new interior and furniture offers hotel experience and low prices. Accommodation includes free use of bathrooms, kitchen, WiFi, and TV. 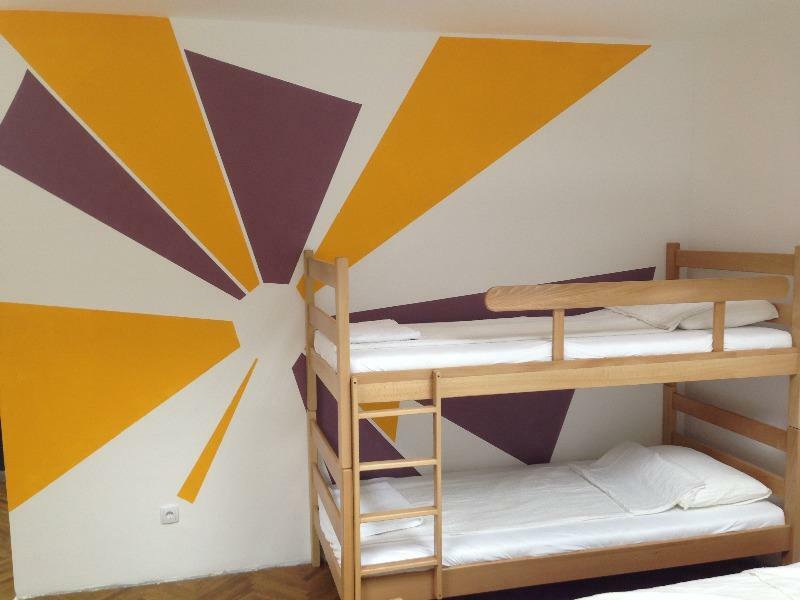 New Hostel Belgrade is located in the very center of Belgrade in Beogradska Street. It is at a walking distance from all Belgrade sights and hotspots. Two minutes away from Slavija square, Tasmajdan park and one minute from King Alexander Boulevard, the longest and busiest street in Belgrade. Belgrade best known areas: Old Town, Dorcol, Vracar and river banks are at a 10 minutes walking distance. Our hostel is surrounded with different fast food restaurants (McDonald, Lebanese, Italian, Chinese), banks, exchange offices, grocery stores and pharmacies, so all one needs is easily available. We know that apart from having rest all tourists love to have fun. This is why we have provided a huge lounge area where you can relax in giant corner couch, watch flat screen TV, play cards or surf internet on computer. No food tastes like homemade food, so you can make your breakfast, brunch, lunch, snack or dinner in our kitchen. It is fully equipped with fridge, micro wave, electric hobs, dinnerware, glassware and cutlery so you can make any specialty you love to eat. Taxes not included - occupancy tax 1.20 EUR per person per night. Security cameras work 24/7 and provide safety, however guests are responsible of saving their personal values. Guests must respect needs of other guests in terms of noise, cleanliness and behavior. Smoking areas is restricted to balconies only. 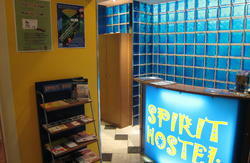 With good transport connections, New Hostel Belgrade is easily accessed from airport, bus & railway station. From Belgrade airport take shuttle bus and get of at Slavija square from where you can go one station by tram number 2, 7, 10, 12 or 14 or walk 250m. From railway & bus station take tram number 2, 7, 10, 12 or 14 .and get of at the third station right in front of the hostel.